When the wind blows & the dust is everywhere, now you can protect your pistol from Mother Nature! 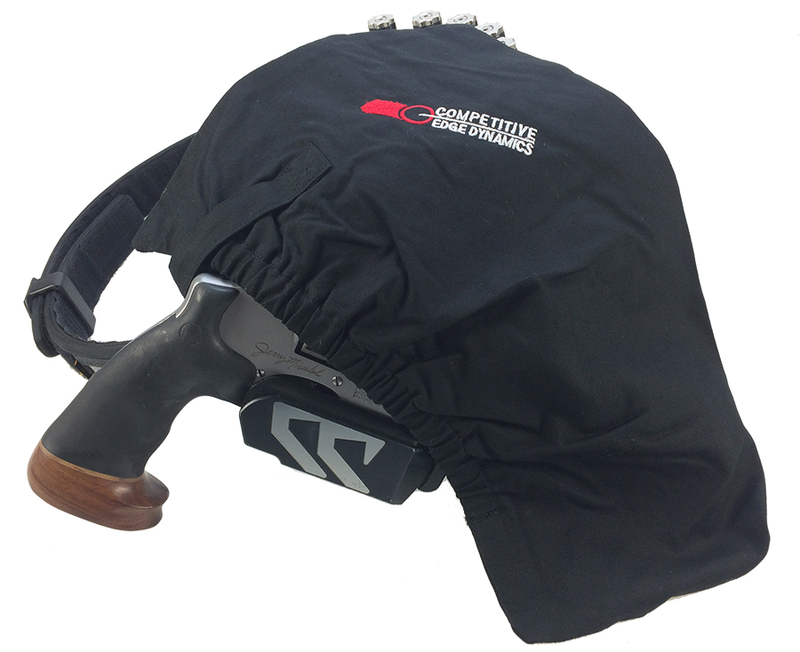 CED Pistol Covers not only protect your pistol keeping it clean longer and functioning smoother during those important match moments, but they also help keep the pistol in the holster where it belongs. The elastic design envelopes around the pistol and holster, snugly protecting both. A Velcro tab allows the user to tighten the pistol cover around the holster giving even more security. CED Pistol Covers stretch to fit both open and limited guns. One cover for all your needs! Folds up to easily fit into a pant or shirt pocket for convenient storage. Made of 100% Cotton fabric.